Welcome major change during this Saturday night’s full moon in Capricorn! Empowered by Pluto, it will be a potent full moon with potentially charged energy. This can be transformational by creating surprising new openness. This could also precipitate a turning point, so be expecting something profound – be ready to welcome major change into your life. This moon takes its name from the large thunderhead clouds that form on the open plains. July marks the start of our journey back toward the colder months, so pause a moment in the warmth of the sun or rest in the shade – all while stoking that inner fire that burns brightly in us all. This month is full of sunshine… so work with the energy that the sun brings. Focus on strengthening your organization skills, nurturing your inner power, building your energy and find your happiness. Perform a gratitude ritual as a way of expressing your own thankfulness. Know that by being able to leave the past behind that this allows ourselves to be ready to accept our future abundance. Gather ingredients together on the eve of the full moon. Take a moment to reflect on the physical and emotional abundance in your life. As you are thinking about these things, anoint the candle with the Frankincense Oil and then light it. Place your Loa Voodoo Doll between you and the candle. Gently place the crystal over the doll’s heart. As the candle burns, visualize all negative & detrimental experiences being burned up in the candle’s flame. Next, bring to mind what you are the most grateful for in your life. Stare at the candle’s flame and concentrate on your grateful thoughts and bring them to the forefront of your mind. Know that the goddess Belisama is present that she brings purification, strength, and support in difficult times. She also brings the notion of abundance. After a few minutes meditating, blow out the candle and place the crystal under your pillow for three nights. This will help pull out bad memories from your conscious and unconscious mind and replace them with love and light. After the third day, bury the crystal outside in the soil or drop into a jar of sea salt to clear the negative energy. Give it a few days to release. Remember to recognize that gratitude is a gift – one that is able to continue to give…. and counting one’s blessings is just as important because it proves to us how truly fortunate we really are. Don’t have your own Mekabre Loa Voodoo Doll yet?? Discover ancient wisdom and unlock your potential, communicate with higher realms, enhance your insight and intuition, manifest your deepest desires and boost your self-confidence. The word Me‘käbre was originally used in medieval France to renounce one’s religion and the manner in which the dead should be properly commemorated. In English, it referenced the “dance of death” and then gradually was used more broadly to describe anything grim or gruesome. Mekabre LLC is anything but grim or gruesome – we take a whimsical, light-hearted approach to our branding based on the real-life, deeply rooted, spiritual tradition of Voodoo. Voodoo is a fusion of magical religious practices from Africa and Christianity that takes on different characteristics and emphases when practiced in various locations. Based on these ancient practices, the Mekabre Loa Voodoo Doll was created and designed by Kody Simmons and Toby Cote. Loa is the cornerstone of the Voodoo religion. It is the “spirit” of Voodoo that aids the practitioner in certain aspects of life, such as success, sexuality, spirituality, health and even the afterlife. Each Loa has its own unique characteristics, likes, dislikes and special powers. They are often referred to as ‘good’ gods and could even be viewed as types of angels or guardians, as they seem to instill certain wisdom and truths in their human followers or callers when summoned. Working across great physical distances, Kody and Toby collaborated on branding ideas and successfully created the Mekabre Loa Voodoo Doll prototype. Kody researched the history of the voodoo religion to help create the Mekabre Loa Voodoo Doll, logo and graphics used on the coffin box packaging and spell cards. Toby spent many hours researching the various voodoo spirits, rituals and spells to help create the foundation for the Mekabre Spell Cards. As we enter into the astrological sign of Cancer, we celebrate Summer Solstice with its nurturing emotional connections. Flowers are in bloom and love is in the air. Unveil your love and enjoy the energy as the earth revolves around the sun. Celebrate the rituals and bask in the sunlight! Solstice is derived from the latin words (sol) sun and sistere (to make stand ). As the sun in the summer sky appears to stand still in the sign of Cancer, the solstice boasts the longest day of daylight which can last up to 15 hours. Open your heart as it is a time to celebrate. Cancer, the feminine energy is associated with mothering, nurturing and emotional connections. As a result of the sun beaming down on us, we feel more vibrant and alive, more vital. Bathe in it, to nourish your body and soul. Wedding season and Gay Pride are celebrated in June, which is not coincidental, but very much on purpose. The coming together of love and energy and the sun makes the world go around. It is considered to be a holiday for lovers, as it coincides with nature’s blooming flowers. Powerful energy from the solstice is reflected in nature as flowers, plants and nature is blooming. Cultures around the world have celebrated summer solstice as a major holiday, throughout history. People often tried to attract their lovers to them via charms and chants by casting spells to bring lovers to them. According to Donna Hines, author of Celestially Auspicious Occasions: Seasons, Cycles and Celebrations, “In New Orleans about a century ago, the Voodoo Queen performed a snake-like dance called the Calinda dance to represent sexual, slithering energy. Everyone would partake in the celebration at the square — slaves, ex-slaves, Creoles, etc. — which was marked by frenzied drum beats, bonfires, swirling dances and imitation of sacred African serpent affects. How will you attract love and happiness into your life? Here is a ritual to try with your Loa doll by your side: place 3 drops of lemon oil on the heart of the Loa voodoo doll and recite the following wish spell. Manifest love, inspiration or desires in your life, with the Mekabre Loa Voodoo Doll! Profound energies prevail as June’s Strawberry Full Moon proves to be intense. This June’s Full Moon will reach its fullest phase in the early morning sky of June 9th. Smaller than most full moons, it’s called a mini-moon because it is 14% smaller than super moons and is slightly less luminous than the average full moon. This slightly smaller mini-moon is a special type of full moon that comes only once a year and is opposite to a supermoon. Named after the beginning of the strawberry picking season, native peoples in the northeastern U.S. called this moon the Strawberry Moon as wild strawberries ripen in June providing a sign to gather the fruit. Significant planetary interactions occuring during this impassioned full moon in fiery Sagittarius, sprout themes of positivity and hopefulness. It is a time to gather and harvest the seeds you’ve planted earlier this spring. Emotional adjustments can be fine-tuned or completed in response to the goals of the last New moon. With this lunar energy, discard worries and anxieties and realign your priorities while being aware of your beliefs and ideals. Bask in the synchronicity of the full moon energy and make a wish! Immediately manifesting a purposeful idea or inspiration can be a promising first step. Don’t miss your opportunity or lose inspiration by waiting. A lunar opposition to Mars could create a resistance to take action. Align your desires with action and make the most of it. Although there is some fervent energy associated with this Full Moon, it can be healing and regenerative as if coming into the light from the darkness. Interpret this as growing into your best self, healing from past wounds and returning to inspiration and hope. Return clarity to your thoughts and feelings by carving out the weak links in your mind. We need to stop defending and protecting what is not working. Act on your desires by opening your heart to lots of love, growth and joy! Plant a seed today. Don’t wait! April’s full moon is known as the Pink Moon, but don’t expect it to look particularly pink. It is named after pink flowers called wild ground phlox, which bloom in early spring and become widespread throughout the U.S. and Canada this time of year. Take caution with pitfalls accompanying this full moon. Beware of karma and try to be frugal. Let go of uncertainty, fear and confusion within you and embrace abundance to grow and love. As the Moon reaches its pinnacle, budding light ignites a charismatic energy within you. Angels await you to illuminate your path and guide you – leading you to positive energy and ultimate joy more than you can imagine. Full Moons are a time for tremendous healing and absolution – washing away any negativity which no longer serves you. Use your Mekabre Voodoo Doll and follow the Mekabre Cleansing Spell to restore positive energy to your body and environment and to bring love and healing into your life – this also includes releasing the emotional baggage we feel from ourselves and others. 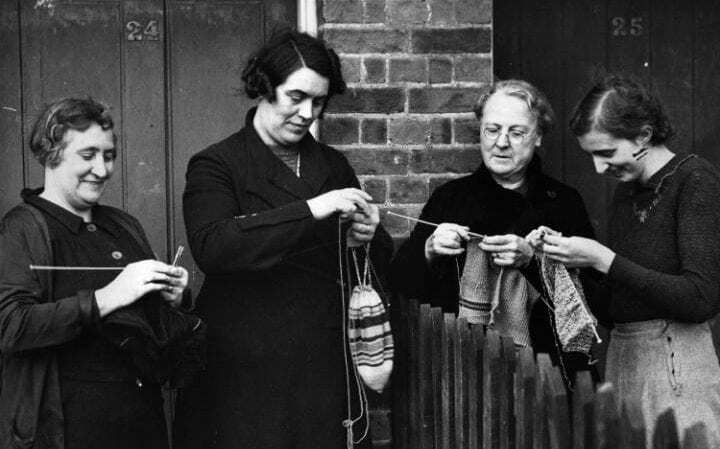 Janice Langley, chairman of the National Federation of Women’s Institutes, told the Daily Mail: “WI members have enjoyed creative activities and crafts since the very first WI meeting in 1915, so it’s great to hear this study has found some evidence that these interests could lead to increased wellbeing and creativity. This full moon promises to make the most of a fresh start and a new perspective! Occurring in the deep, cold of winter, it is referred to as Wolf Moon, the Hunger Moon and the Cold Moon because wolf packs howled hungrily outside villages and January often represents cold and hunger. The wolf is a powerful, spiritual animal representing intuition and awareness of our inner self. During this full moon, we can look forward into the year ahead with positivity. What seemed to be bleak in the future is now lit we just need to find the path to get there in this full moon’s light. The theme is of letting go and we begin to see things with a new lens. In this period of intense emotional energy we are drawn inward to recognize life goals and bring them to fruition. Decisions need to be made on how and where to take things forward, and a sense of clarity will bring us awareness. Take this opportunity to reflect on the past year and any unresolved intentions. Set prosperous intentions for the coming year and plan on how they may flourish. Light a candle and with your Mekabre voodoo doll nearby, write down your intentions. Focus on these intentions by closing your eyes and meditating for a few moments. Focus on your breath and visualize yourself achieving those goals. Pamper yourself afterwards, by taking a cleansing bath with a few drops of lavender oil. If you don’t already have the Mekabre Loa Voodoo Doll, it is easy to tap into the ancient power of voodoo yourself! Mekabre LLC has created the perfect complete Voodoo Doll Kit. The Complete Kit comes with one Loa Voodoo Doll, a set of easy-to-follow spell cards and straight pins – all designed to help you get started casting your first spell to create positive change in your life. Each Mekabre Loa Voodoo Doll is packaged in a sturdy box that is printed with ancient voodoo Veve symbols and has a coffin-shaped window for easy viewing when not in use. 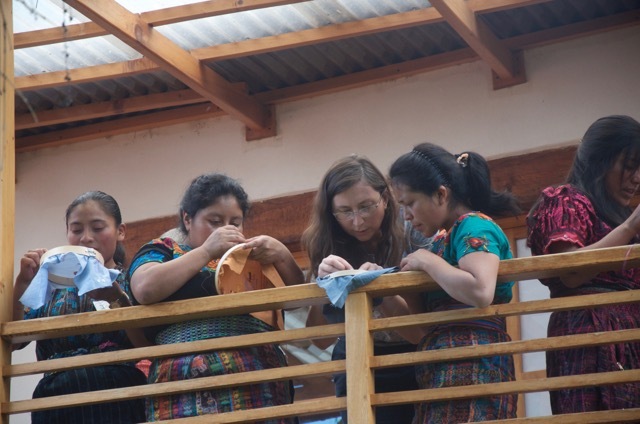 The following is an insiders accounting of the recent Embroidery Workshop in Guatemala as told by the teacher, Mary Anne Wise, Founder of Cultural Cloth. 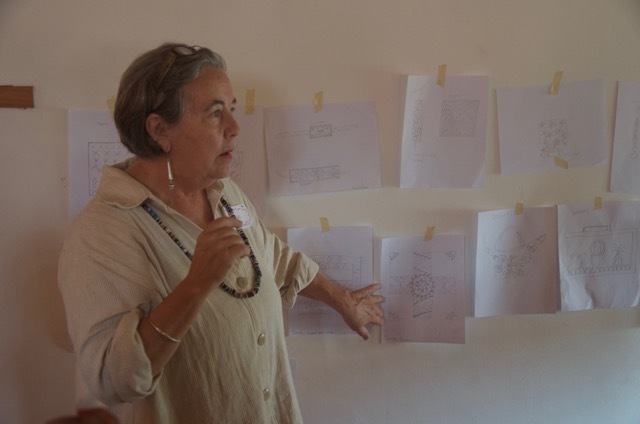 The primary objective of this workshop is to coalesce as a group. Therefore, to start with, we talk about what makes a good teacher, what makes a good student, what are our mutual responsibilities. Then, together we create a list of rules for the class. We followed the rules we created. During a design presentation, my co-presenter Reyna, had to ask the women to surrender their cell phones and to place them in a basket to be retrieved during lunch time. “No cellular” was on the list of rules but several women’s phones interrupted the class and now it’s time to assert the rules. According to the look on their faces, taking away their phones is a bit like cutting off a hand. I suspect we will only have to take away the phones once. The women have brought along their embroidery work in progress to show the group. What’s the name of that stitch, I ask, and even though we’ve identified a total of 8 or 9 various stitches across a dozen examples, only 2 or 3 stitches are known by name. I talk about the importance of naming stitches & drawing them in your notebooks but the significance falls on deaf ears. Next, Sarah teaches a few stitches. 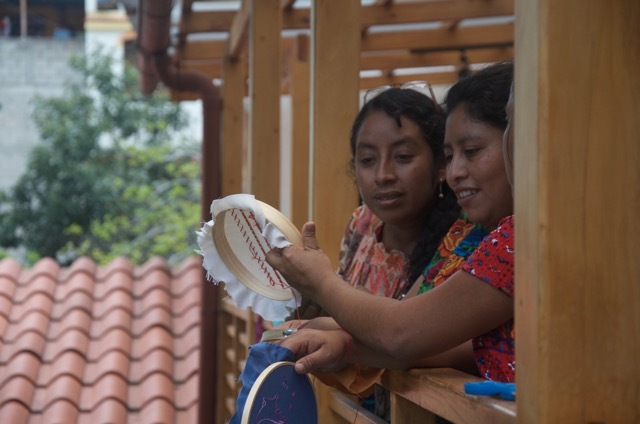 Then the energy reenters the room as soon as the women start working with their hands and talking and laughing and connecting. Sarah talks about her work in Madagascar and how none of the Malagasy women had embroidered before participating in her project, how none of them can read, and how none of them have access to making money. She’s got a short video about the women of Stitch St Luce, what their landscape is like and what their homes are like. Sarah shows their embroidery work, too. Reyna translates the folktale depicted in a small (14×14”) and finely detailed embroidery. The Mayan women listen, captivated. We next discuss the stitched homework. Sarah examines their stitches and, practices the critique process, provides feedback on the stitches contained w/in several hoops. Someone’s phone starts to ring and almost in unison the other students groan, wag their finger at the offending student. No one wants their phone taken away again. Throughout the rest of the day, there’s not one phone that rings.